SPC Group said Wednesday that it will open Singapore’s first Shake Shack branch next year. 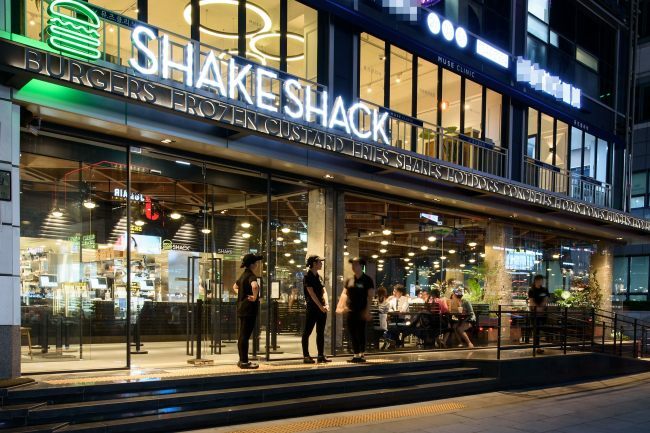 It signed a partnership with the US premium burger chain Shake Shack Enterprise last month for the business rights to operate Shake Shack in Singapore, said SPC Group, a South Korean bakery and confectionary company that operates 60 brands worldwide. The first branch will open at Jewel Changi Airport. The company plans to open up to 10 outlets in Singapore by 2024. Shack Shack Enterprise said it chose SPC as its partner to enter the Singaporean market because of its expertise in running the business in Korea. “We have constantly been waiting for an opportunity to open an outlet in Singapore, considering the geographical significance of Singapore. We are also very happy to work with SPC Group also in Singapore,” said Shake Shack Enterprise’s Michael Kark, who is in charge of global licensing. In 2016, SPC Group opened Shake Shack in Gangnam, the first outlet of the premium burger chain in Korea. It has since opened a total of seven outlets.